It's taken quite a bit of time, three months from starting the business, to getting our sign up and doors open. 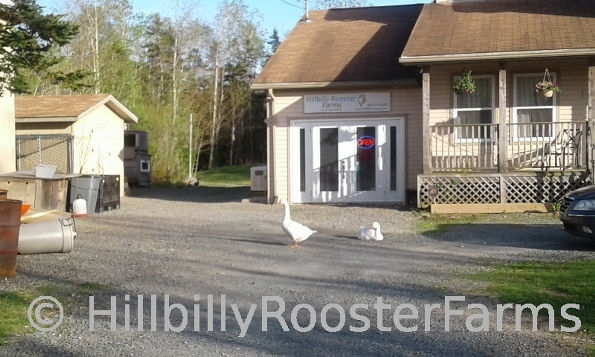 But it's finally done and beginning tomorrow, Hillbilly Rooster Farms store will be officially open to the public. We're still getting in scrapbook & paper supplies, and received a shipment before the weekend. We'll get photos up of the new items shortly. Until then, here are photos of the store. Guard geese always on duty, lol.